In the UK 32.40 million people go to work to earn money and have a good standard of living, therefore it is quite normal that people go to work in order to earn money rather than spend it, however that may not be the case given recent studies. CV-Library conducted a study to find how much going to work is actually costing you and the figures discovered were quite astonishing. 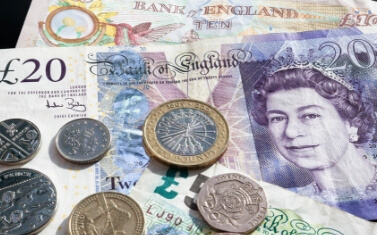 The survey carried out by CV-Library found that workers are losing up to £2,460 a year on work related expenses. The survey of 1,000 employees discovered that on average workers are spending approximately £205 a month on work related expenses such as lunch, commuting and stationary. At the top of the list for work related expenses was commuting costs with 78.1% stating this as their main cost, closely followed by lunch(73.1%), morning coffee (25.5%), socialising with colleagues (17.1%) and stationary (13.1%). Therefore these additional costs to those already encountered by workers, such as bills and tax, are having to be factored into their monthly budgets with 80% of employees stating that they have to make allowances for these costs in their monthly budgets. These findings show that the expenses encountered by employees are not cheap at all and can actually take up a large proportion of a workers wage. With the average wage being approximately £27,000 having costs that can accumulate up to £5,100 demonstrates the large chunk of money needing to be set aside from a worker’s wage. The Founder and Managing Director of CV-Library who conducted the research used throughout, Lee Biggins, stated that “we expect to invest a portion of our wages back into our everyday life, it’s concerning to learn just how much professionals across the nation are losing on work-related expenses”. Increasing amounts of work related expenses lead to arguments over what should and shouldn’t be funded by employers. Lee Biggins said that from “an employer’s point of view, it can be tricky to draw the line between what should and shouldn’t be funded”. In order to reduce the amount of money spent on work related costs it is important that employees change their habits. In order to combat the largest expense, commuting, ideas such as carpooling can be used in order to get from A to B but whilst being economically and environmentally friendly. Additionally in order to reduce the second biggest expense of buying food and drink whilst at work there is effective measures to take. To reduce the cost a worker can prepare food and bring their own into work and the same with drink, for example coffee can be transported in a flask and kept warm throughout the day.